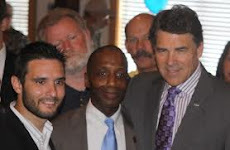 I was doing some research this week regarding the Texas Attorney General Republican Primary Election 2014. I came across a professional survey that was released a couple of months ago. I was surprised that I had not seen any coverage of this poll. The results were pretty clear cut. Barry Smitherman leads Ken Paxton and Dan Branch in both favorability and a poll of who Texas voters would elect for Texas Attorney General if the election were to be held now. Wilson Perkins Allen Opinion Research conducted a study of likely Republican Primary Voters in Texas. Respondents were screened to ensure that they were neither a member of the news media nor a public relations company. The sample for this survey was stratified based on gender, age, and geography. This methodology allows us to minimize post-survey “weighting” which can reduce the reliability of survey results. Respondents were contacted by phone via a live telephone operator interview May 13-15, 2013. The study has a sample size of 751 likely Republican Primary voters in Texas with a margin of error of ±3.6%. Barry Smitherman has a stronger name ID than Dan Branch and Ken Paxton. Smitherman has a seven point lead on the overall ballot with more than three quarters of likely GOP Primary voters undecided. Smitherman is very competitive in Paxton’s and Branch’s home region of Dallas-Fort Worth, and he has an 11 point lead in the greater Houston area. Thats not a meaningful poll as it was even before Paxton announced and it shows all the candidates are unknown. No disrespect to Mr Smitherman, but Ken Paxton is the strongest conservative candidate in the race. 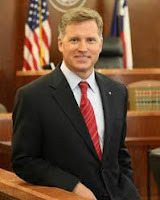 Dan Branch is not much of a conservative, more of a Straus-type Republican, real conservatives need to be wary. Smitherman paid for this poll that you just so happened to stumble across in your research. Review the campaign finance report on 5/13/2013 Friends of Barry Smitherman paid for this opinion poll. This poll was conducted before everyone announced they were in the race. Did someone on the BS team hack your account because you've been posting a lot of BS stories?